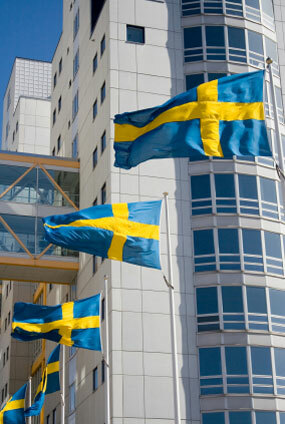 Sweden just passed what has been called “Europe’s most far-reaching eavesdropping plan.” It allows Saepo, the country’s intelligence agency, to scan international telecommunications (phone calls, faxes, and emails). The police still need a court order to tap these communications, but Saepo can listen in whenever they feel the need to do so. I have already written about the potential problems with cellphone monitoring, so I do not think I need to go into too much detail as to why people should not be monitored without express consent. Quite simply, it erodes liberty. It takes away a person’s freedom not to be able to control who is listening in on his conversation. Fortunately, vocal protests have already begun and will continue in the weeks to come. Many Swedes, including the former head of Saepo, argue that at the very least, the law is poorly written and needs to be re-crafted. Others have taken the more direct approach of claiming that the law infringes civil liberties and must be abolished to maintain freedom. Hopefully, their protests will be heard in the Swedish parliament, and action will be taken to repeal this law. That would be a victory for liberty, and that would be a good thing. June 19, 2008 in Uncategorized.